A coach driver who was caught just over the drink drive limit as he drove to help his brother in Mansfield will lose his livelihood, magistrates heard. 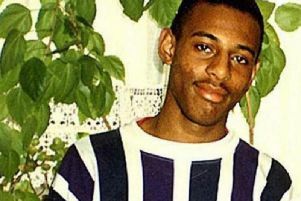 Mark Lake was pulled over by police on Nottingham Road, at 2.30am, on August 1, following a tip-off. A test revealed he had 41 microgrammes of alcohol in 100 millilitres of breath, when the legal limit is 35 microgrammes. Simon Greaves, mitigating, said Lake’s brother had been homeless, but accomommodation had been found for him in Mansfield. “His brother contacted him in a very distressed state and Mr Lake goes to the assistance and care of his brother. “He accepts he was drinking alcohol. He hadn’t consumed a great deal. Mr Greaves added that Lake was in the process of buying his home from the council, but would now have to make a claim for Jobseeker’s Allowance. “My license is my livelihood,” Lake told the court. Lake, 39, of Petersfield Close, Nottingham, admitted drink driving when he appeared at Mansfield Magistrates Court, on Friday. He was banned for 12 months, but was offered a drink drive rehabilitation course which will cut the disqualification by 91 days if he completes it. He was fined £200, and was ordered to pay £85 costs and a £30 government surcharge.